Patrick J. Kennedy, the former congressman and youngest child of Senator Ted Kennedy, recently appeared in an interview on the award-winning news broadcast, “CBS 60 Minutes.” The interview that Kennedy gave so intrigued me that I decided to read his new best-selling book, A Common Struggle: A Personal Journey Through the Past and Future of Illness and Addiction (New York: Blue Rider Press: Penguin, 423 pages). 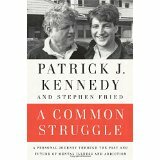 A Common Struggle, co-authored with Stephen Fried, details Kennedy’s personal and political battle with mental illness and addiction, exploring mental health history in the U.S. alongside his own private struggle. Kennedy, a former Rhode Island congressman, publicly disclosed his addiction to prescription painkillers in 2006 after he crashed his car into a Capitol barrier in the middle of the night. The true extent of his struggle with bipolar disorder was not known at the time thus his plan to openly seek help caught many off-guard. Given the way public life works in Washington this could have been the end of Kennedy’s public career but instead of the end it proved to be a whole new beginning. Kennedy went on to become the leading advocate in Congress for mental health and substance abuse care, as well as research and policy. He authored and advocated for numerous mental health and addiction bills that have slowly begun to alter our policies and practices. He also played a significant role in changing insurance coverage of mental health problems. The signal piece of legislation that he helped pass was the landmark Mental Health Parity and Addiction Equity Act. This bill was passed after the death of his famous father, Senator Ted Kennedy. Eventually Patrick Kennedy left Congress to devote himself to the public dialogue that surrounds all brain diseases. In A Common Struggle we hear Kennedy’s private and professional narrative. What we also learn is that for Patrick Kennedy the personal is the political and the political is the personal. I found his philosophy deeply resonated with my faith and public life as a Christian. Kennedy unveils his deeply moving story through tell about his silent years leading up to when he “came out” regarding his bipolar disorder and addiction. This personal memoir examines Kennedy’s journey toward recovery and profoundly reflects upon our culture-wide propensity to treat mental illness as a “family secret” that should be hidden from public view. Mental illness, unless it is of the type that we experience through a severe birth defect, is still treated by millions of Americans as something to be ashamed of. Kennedy wants to change this perception and has worked night and day to alter our approach to both mental health and addiction. But Patrick Kennedy does much more than reveal personal family trials and struggles. He creates a social and political roadmap for equality in the mental health community. His plan for the future of mental health policy is both reasonably offered and truly bold. A Common Struggle has been rightly called a cry for empathy and a call to action. But it is much more. It reveals the trials and struggles of the entire Kennedy clan in a way that might change your view of this iconic family. For example, has it ever occurred to you that seeing two family patriarchs killed by assassins would extract a massive emotional toll upon generations of Kennedy children? Has it ever occurred to you that being a Kennedy created a high price that few of us can really understand, especially since there are so many Kennedy-haters in the general population? Patrick Kennedy reveals that in his search for sobriety he decided to attend a private congressional Bible study and prayer group. He was surprised by the response of so many Republicans toward him. They supported him and showed costly love and grace. He notes that the spiritual support he got from them was eight-to-one in comparison to the support he got from fellow Democrats. But he also relates how understanding and gracious Speaker Nancy Pelosi was to him, a fact that others will likely not accept because of their political stance. Kennedy’s co-author, Stephen Fried, is an award-winning healthcare journalist. and best-selling author Stephen Fried, A Common Struggle is both a cry for empathy and a call to action. This is one of the most important memoirs on mental health and addiction I have ever read. If you struggle with these issues, either personally or within your own family, I encourage you to read this memoir. If you do not struggle you might also benefit from this readable book by having your understanding radically altered by by a powerful first-person story. 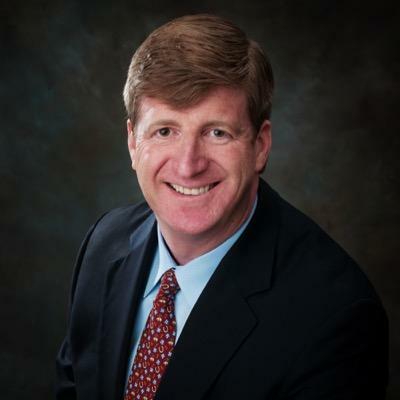 Today Patrick Kennedy is sober, happily married and profoundly enjoying his service for the cause of mental illness and addiction from outside of the Congress. He seems to have finally found the elusive peace that he had sought since he was thirteen years old. I want to read this book as well. I saw an interview on Morning Joe last fall and was impressed by Kennedy’s winsome spirit, candor, and courage in living redemptively after leaving Congress. Thanks for the great review! I’d love to read this. I have friends and family who suffer from various types of mental illness (some advocacy groups want to change the nomenclature to brain disease or disorder). This phenomenon is so poorly understood and help for those suffering from this are facing a grim future. In Illinois, they have defunded so many mental health facilities that currently the biggest providers of this service are the jails. And addiction and mental illness go hand in hand in many cases as a means of self-medicating, understandably so, but still rather unfortunate. Would like to see what Patrick Kennedy is advocating to help solve this crisis. Thanks, John! David, you have underscored much of the problem in your comment. We criminalize the problem and then refuse to help the people who suffer. Susan Taylor liked this on Facebook. Becky Hairelson liked this on Facebook. John- I saw half of that show- this is a great review. I’ve sent it to folks who need this story. Happy Thanksgiving to you and your family (and puppy)! Jennifer Anderson Lindquist liked this on Facebook. Susan Krizan Heil liked this on Facebook. Lois Peterson Olson liked this on Facebook.